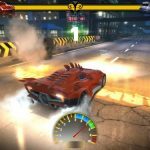 We’re still spending a lot of time playing NaturalMotion Games’ CSR Classics, especially since NaturalMotion released its Maserati update late last month. 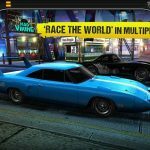 As a refresher, this game allows you to collect and race cars from the ‘80s and earlier, with a focus on American muscle cars from the ‘60s and European sports cars from the ‘70s and ‘80s. Your ultimate goal is to out-race Mr. Baledin, the game’s final (Tier 5) boss and a crooked casino owner, but before that, you should beat all his henchmen and the crew bosses and their underlings in the previous four tiers. We’ve given you a couple of detailed CSR Classics strategy guides in the past, and this one now deals with those advanced tips and tricks. 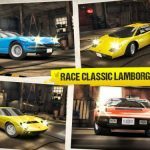 If you’ve reached or completed Tier 3 and are looking to survive in Tiers 4 and 5, we suggest you to check these CSR Classics tips out, as we believe they can help you win it all. As we said in our previous CSR Classics strategy guides, you can use the time lapse cheat to refill your gas tank without having to wait – just advance the time on your device by two hours and return to the game with a full tank. But the twist therein is that once your tank goes empty, you won’t be able to race again until about 12 minutes after the time you set your phone to. There is a way to work around this, though you’ll need a lot of gold coins – the game’s premium currency – and shouldn’t do this all the time lest you run out of coins. Once you’ve switched the time back to normal and used up all your gas, refill for 20 coins and race again. After using a pip of fuel, you’ll notice the timer for your next pip of gas ticking as normal, instead of staying frozen at 12 minutes. That means your tank is refilling like it should, therefore making it possible to time lapse again if you need that gas ASAP to race and win for your next big upgrade. The restriction races are a great chance for you to make more money than you normally would in the regulation races. But some of them would require you to have certain upgrades installed, e.g. nitrous, or conversely none of a certain upgrade, e.g. tires. My big mistake was to buy two cars for a given tier, one to be upgraded everywhere save for nitrous, and one to be upgraded everywhere except for its tires. That’s not a very cost-effective way to do things – instead, what you can do is stick to one car, and simply go to the upper right of the Upgrade menu. You’ll see arrows to the left and right of the stage a certain part is in – hit on the left arrow until you reach Stock to remove the upgraded part you shouldn’t be using in a given restriction race. Once you’re done, you can reinstall that part by hitting the right arrow until you reach the current stage the part was in, and it’s all for free. The only time you’ll want to have multiple cars in one tier, unless you’re trying to boost your Reputation Points bonus in Online Mode, is if the tier has a manufacturer- or car-specific series. Thinking about buying a more expensive car for a given tier because may have a much higher upside once fully upgraded? As we’ve observed, most of the cars in CSR Classics in the same tier have similar ratings when they’re maxed out. The exceptions seem to be the ones that you can only purchase with gold coins, even if purchased Unloved. So with that in mind, start going for the cheapest possible option once you’ve reached Tier 2, and before that, check the car’s rating under Loved to get a ballpark figure for its upside – Loved cars still need an upgrade or two, but are otherwise close to being fully upgraded. We normally encourage gamers to seek the path to success that doesn’t involve shelling out any real money. But if you’ve got some actual cash to spare and a lot of free time to play, we suggest buying 24-Hour Unlimited Gas ($3) and 24-Hour Race Team ($5) at the same time. I tried this out one time and ended up quickly completing the Tier 4 Crew Challenges and Ladder Races, while winning several Gold Leagues in Online Mode. 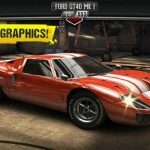 With the 24-Hour Race Team for Online Mode, you’ve got all the possible buffs at your disposal – the engine guy, the nitrous guy, the tire guy – as well as the Blogger, who gives you free restarts. This makes it very, very easy to move from Bronze, then Silver, then Gold League and win them all. Winning the Gold League could get you a ton of gold coins, cash, RP bonuses, car pieces, or free high-level upgrades, so it’s truly worth it to have everyone in the Race Team, plus unlimited gas, available for a whole day. The game advises players to look at their opponents’ RP (reputation points) and PP (their car’s rating) when choosing opponents, but doesn’t really elaborate on that. Now there doesn’t seem to be an exact science when choosing opponents, but more often than not, you’ll want to choose opponents whose car is rated lower than yours, and who have less RP than you do. Guys with RP in the ten thousands (or even hundred thousands) are really serious players, while those with little to no RP probably wouldn’t bother hiring someone from the Race Team to buff up their rides. For another Online Mode tip, we advise you to always challenge the Mystery Racer when he/she shows up at random. Beating this racer earns you an instant prize card, though if you decline to challenge them, they’re gone until the next Mystery Racer opportunity turns up. Unless you’re willing to pay three actual dollars for a one-time “Super Nitrous” upgrade, you’re better off not taking part in that one-for-the-road boss race where you can win their car if you’re victorious, or be out 20 gold coins if you lose. Even if your car’s fully upgraded, there’s a very good chance you’ll lose if you don’t buy that one-time upgrade.